You only have three days to explore Mexico then you’ll want to make the most of it. 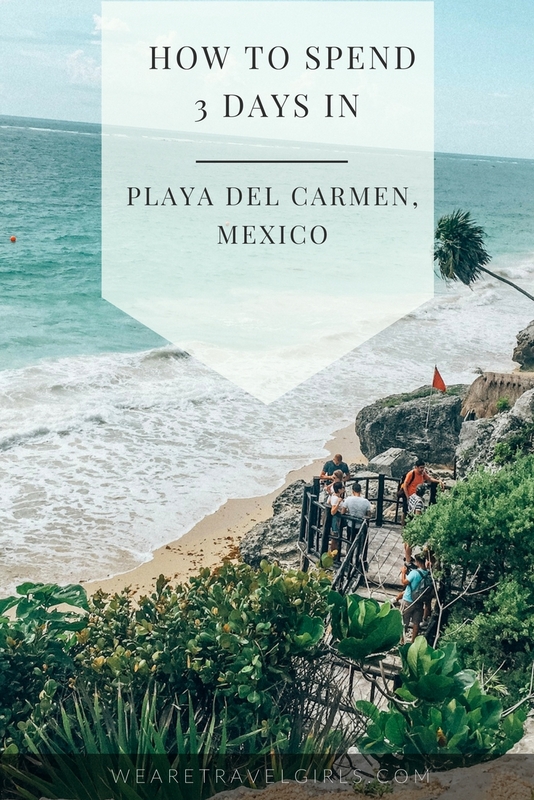 Mexico is a big country and it has tons of beautiful beach towns to choose from. 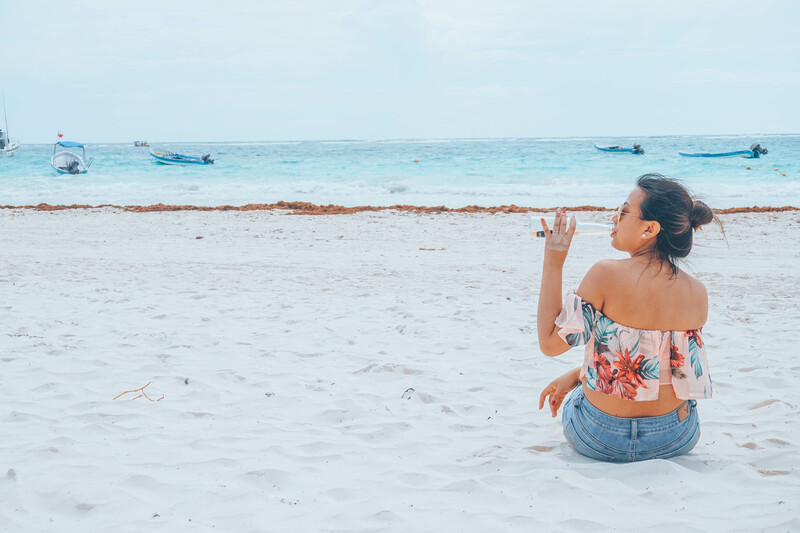 I choose to fly into Cancun, but stayed in Playa del Carmen to explore this coastal beauty! I visited Mexico, post hurricane in 2017 and many people warned me of the dangers of gang wars, natural disasters and the dangerous night life, to discourage me from visiting this gorgeous country. Well, I kept that negativity aside and decided to book an all inclusive trip to Mexico to stay at Playa del Carmen. And I am so glad I did! I flew from Canada via WestJet Vacations to Cancun, Mexico. WestJet Vacations offers you all inclusive deals that includes airport transfers. Cancun to Playa del Carmen is about 1 hour by road. 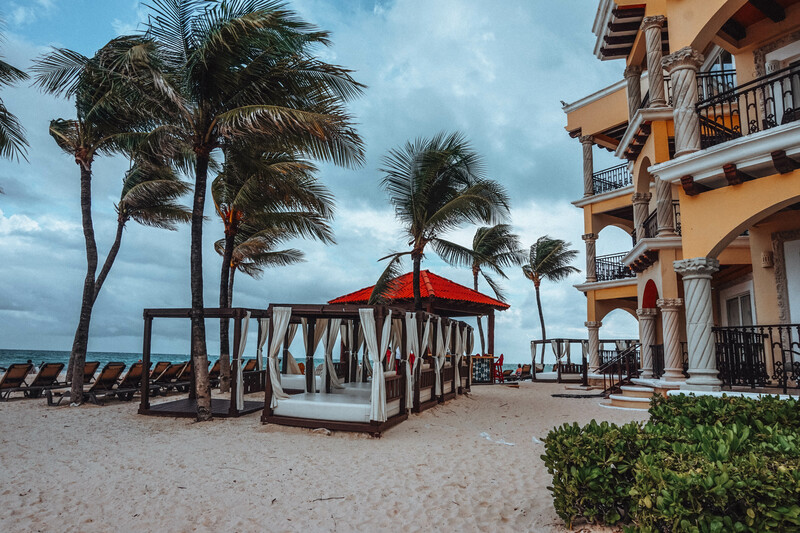 Being an all-inclusive deal, I chose to stay at a centrally located Gran Porto Real Resort, near 5th Avenue, Playa del Carmen. I am a history buff. 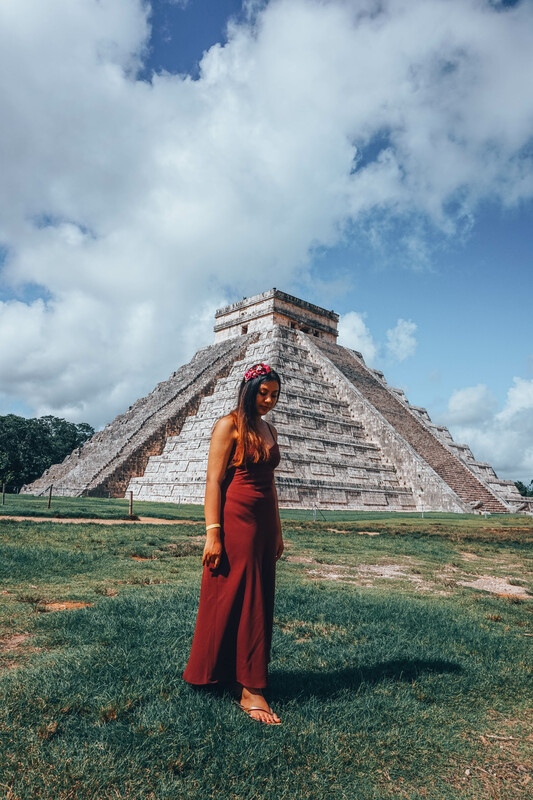 So I designed my itinerary around Mayan architectural wonders, along with some downtime at the beach and in the resort. 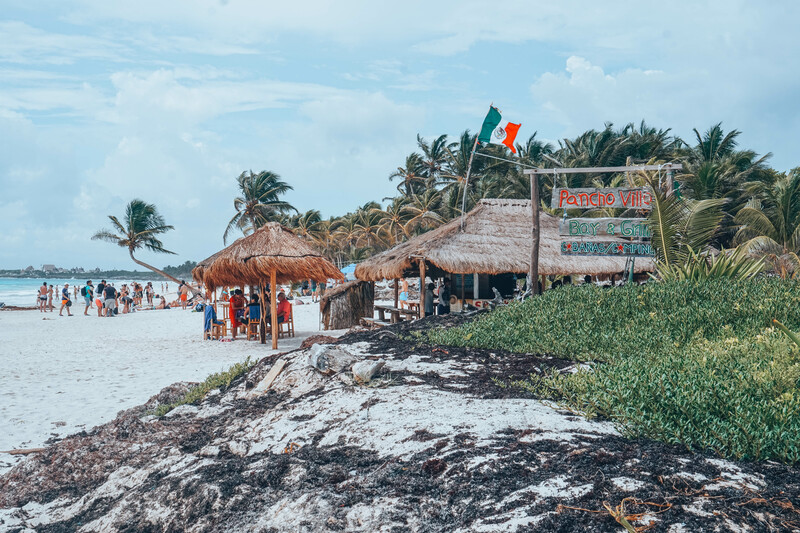 A one day tour consisted of exploring Tulum, Paradise Beach and Coba Ruins. I booked the through a local operator called Yalku Tours, to take us (me and my husband) to Tulum. This all day tour cost around 115 USD per person and included a light breakfast, lunch at a local Mexican restaurant and sightseeing. Welcome to Tulum, one of the most picturesque places that I have ever been to. 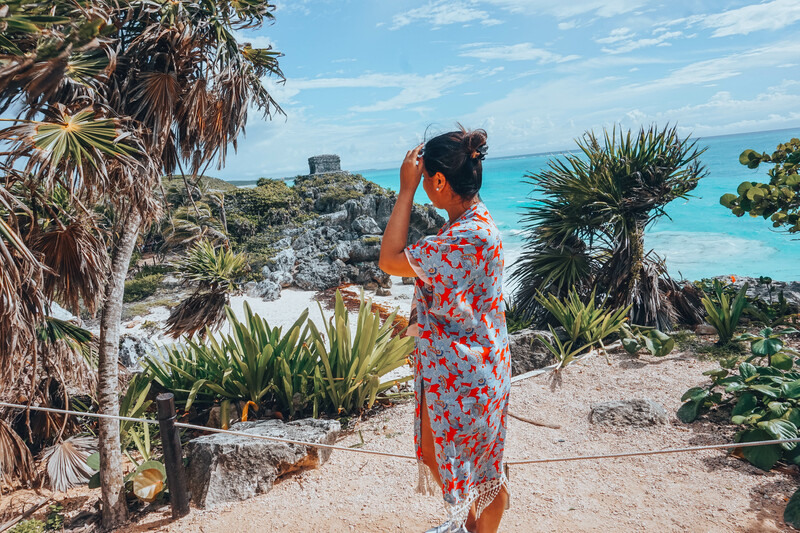 Currently a resort town, Tulum is the youngest of the explored Mayan Ruins. 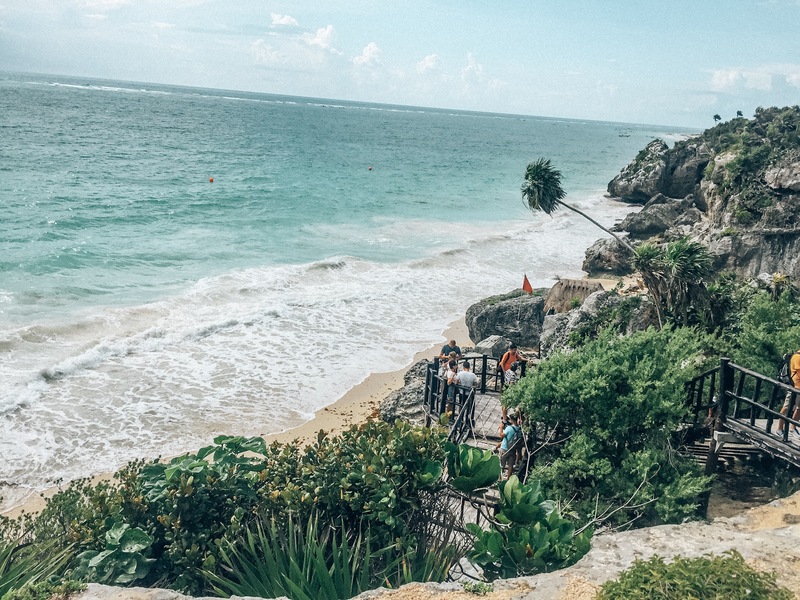 The 13th-century, walled Mayan archaeological site at Tulum National Park overlooks the sea. The Tulum complex is very large. 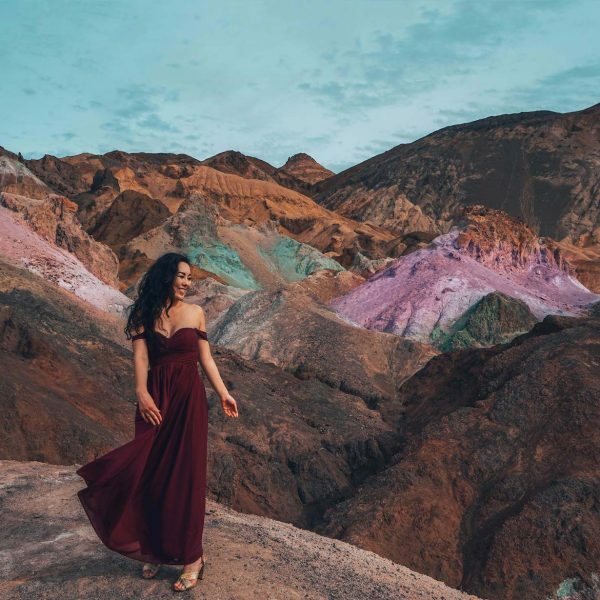 There are many architectural ruins that you will pass by, before reaching the cliff-edge which gives you the breathtaking views of the Playa Paradiso. The Templo de las Pinturas, with a partially restored mural, is located in Tulum. 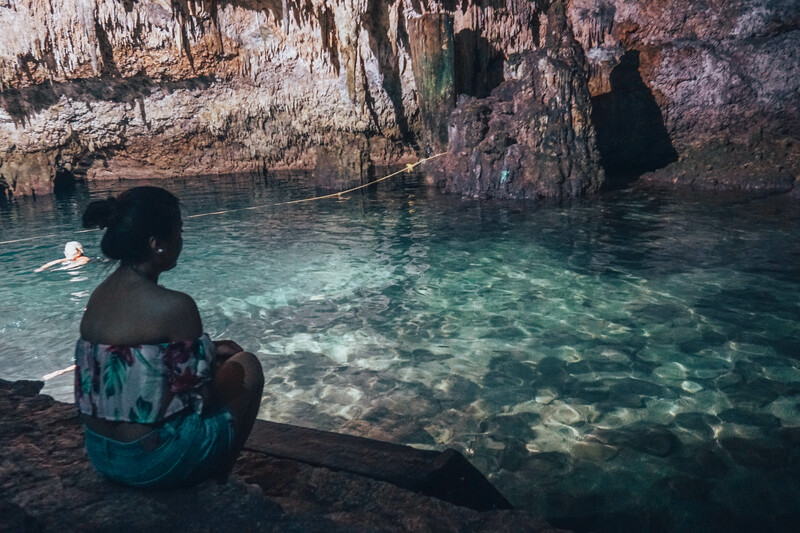 An exciting part of this tour was experiencing a cenote for the first time. A cenote is a sinkhole. A steep stairwell led to this cenote called Cho-Ha. The inside of the cenote was dark, with one big flood-light for visibility. 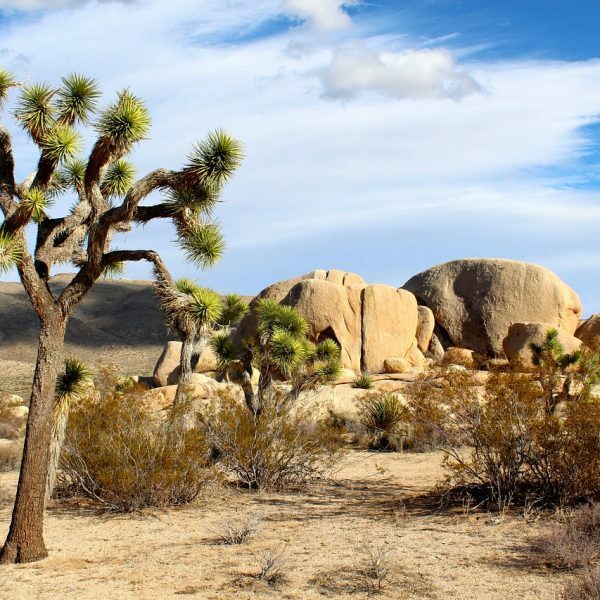 But it was beautiful – the water was turquoise blue and there were beautiful rock formations all over. There are three other cenotes located nearby. Cho-Ha is one of them and it is very beautiful. The water here is connected to all the cenotes. The Mayan Population consumes this water for their daily use. After a dip in the cenote, it was time for some Mexican cuisine. We had a lunch pit stop at a local restaurant. Decorated with colorful frills and balloons, this restaurant served the best tacos and grilled spiced chicken I had ever tasted. La Piramide is a good place to stop for lunch before embarking on the Mayan journey. Our first day ended with a climb to the Coba pyramid. Coba is the oldest discovered Mayan Ruin. The Cobá archaeological site has pyramid-shaped temples with views over the surrounding jungle. Our tour guide mentioned that there could be thousands and thousands of such pyramids scattered all over the archaeological site. This site is huge and it’s advised to either bike or rent a tricycle. We rented a tricycle and boy it was fun! 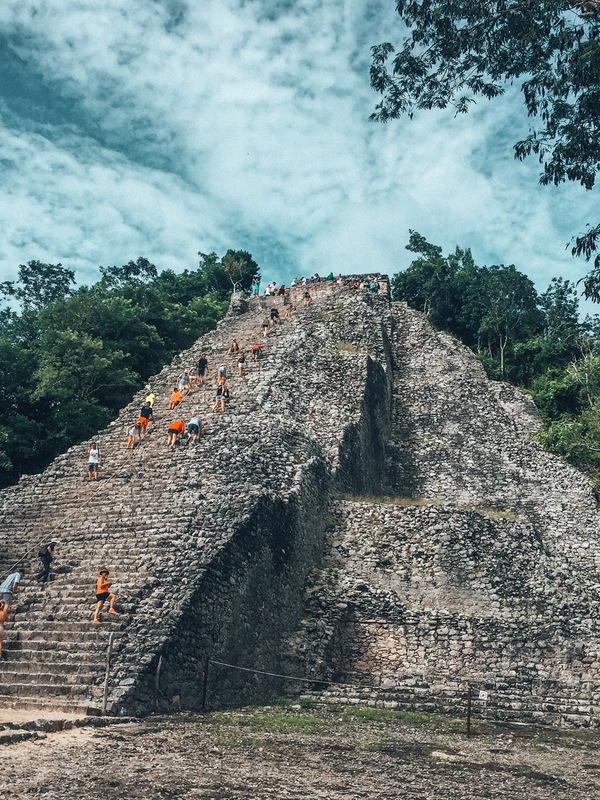 Coba is the only pyramid where tourists are allowed to climb up to the top. This pyramid has 120 steep steps. It was a breeze climbing up, but coming down was quite a task. However, the views from the top were incredible – miles and miles of greenery! Come, see for yourself. 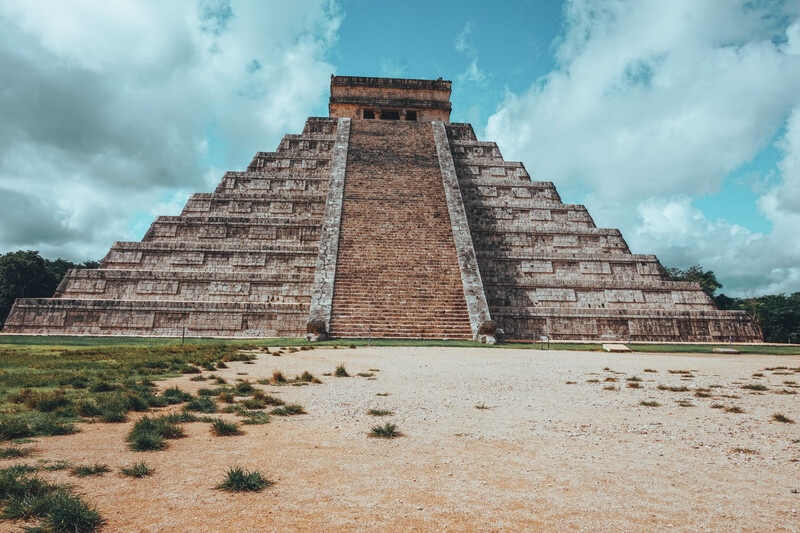 Chichen Itza – one of the wonders of the modern world, and one of my major bucketlist items. Of course, I was excited for this trip. We woke up pretty early to reach the meeting point for our ChichenItza tour. This tour was booked via Amigo Tours. and was 56 USD per person. To be honest, I was not really impressed with Amigo Tours, no confirmation was provided and we had to actually take a cab to reach the meeting point. However, all my disappointment ended when we entered the archaeological site. Our guide inside the ruins, was a Mayan expert, and he was so engaging. 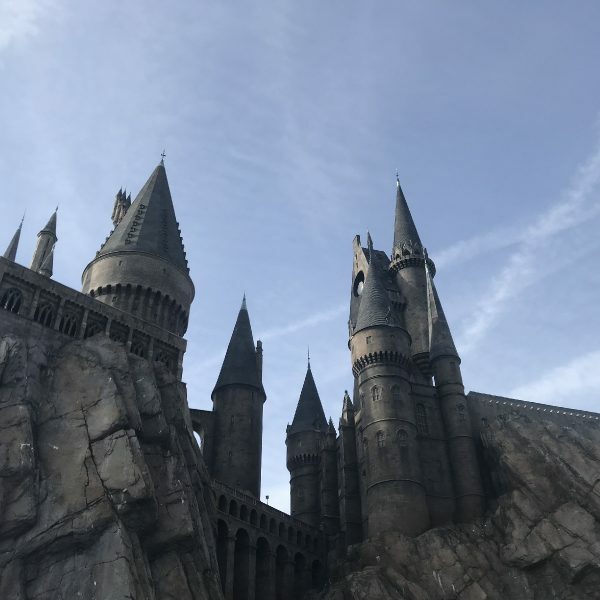 I felt like I was in my history class – so interesting (I am a History major student). He offered over the historical and astronomical facts about ChichenItza. You can only imagine how the ancient Mayans knew so much about the position of the stars, without the use of any metals. Very observant, the Mayans documented everything, except “how” they built these monumental structures. That makes this race one of a kind. Amongst all great achievements, Mayans believed that there is nothing one can’t do. Once you set your heart to it, you will find a solution. And this resonated with me, as I ended my epic tour to ChichenItza. The site is filled with souvenir stalls. But be sure to bargain for the best prices. I bought a small handkerchief embroidered by a Mayan lady (I didn’t have the heart to bargain with her, so much love and respect for the ancient Mayans). 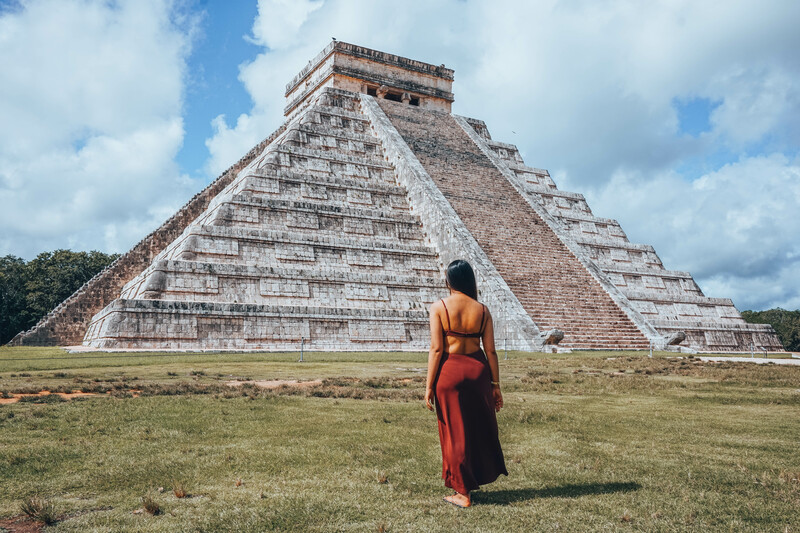 Tip: The key to taking amazing, tourist free pictures at Chichen-Itza is to start early. When we reached the complex, we had lots of time on our hands to get some amazing shots. Now, when you decide to stay in an all inclusive resort, you are treated like royalty. We stayed at the Gran Porto Real Resort. 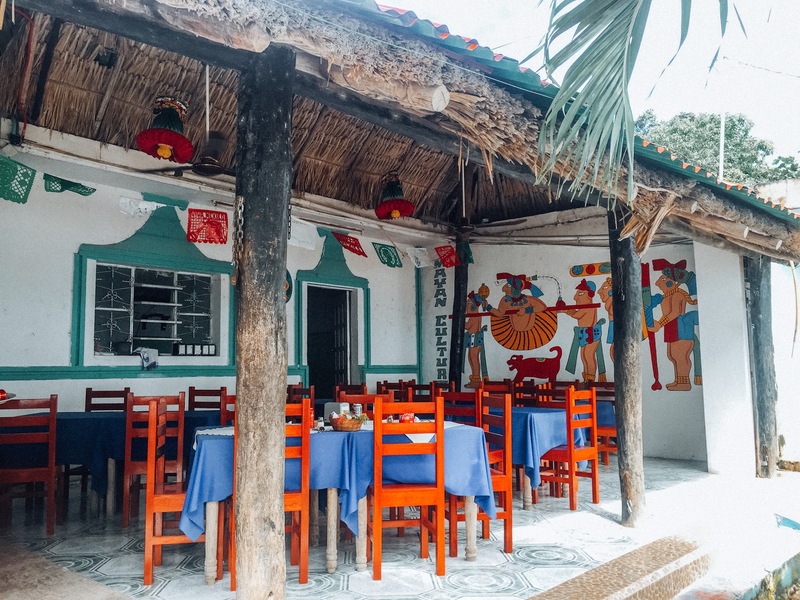 It is a 4 star, reasonably priced resort at 89 – 100 USD (per night, double occupancy, all inclusive), with tons of food and drink options to choose from. One of my favorite things to do in the evenings was to stroll by the warm beach, with a frozen margarita in hand. It was a beautiful feeling to enjoy and be at peace, in a gorgeous paradise. 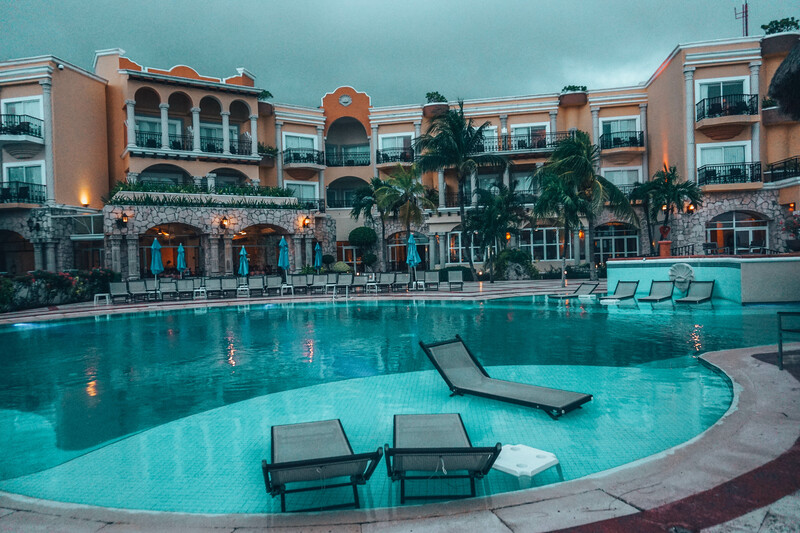 This all-inclusive resort also invited us to a pool party. And it was so much fun. Music, dancing, pool and good Mexican food, what else! 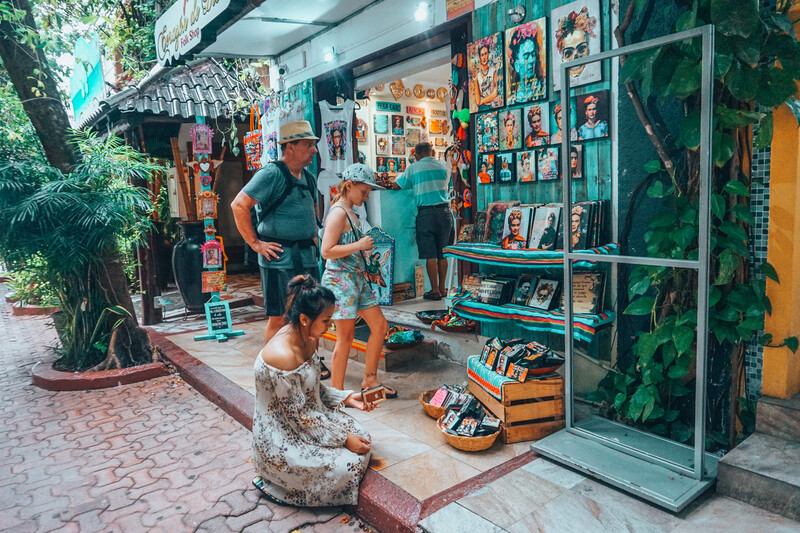 Mexican silver (taxco, .925), blankets, vanilla extract, and handicrafts are some of the best things to buy in Mexico. Silver is cheap and is also one of the most sturdy and beautifully crafted things around. We chose a resort very close to the 5th avenue. A few steps from the Gran Porto Real, and you are in the heart of the hip shopping and entertainment district. There are local shops, shopping mall and lots of restaurants in this area. You can book for tours from the operators in 5th Avenue as well. It is safe to move out and about in this area. You will see police vans patrolling the area, but that’s mainly for public safety and as a precaution. 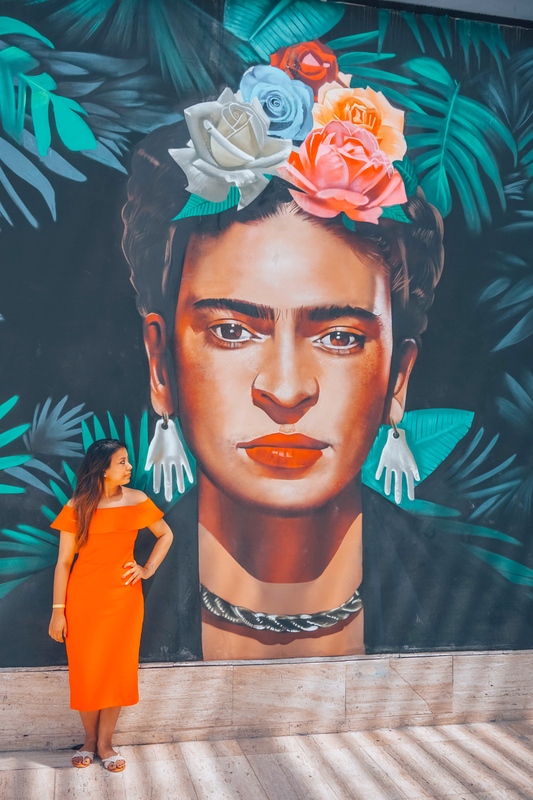 I saw a beautiful mural of Frida Kahlo in PDC. There is a restaurant named Frida Kahlo Restaurante, which is very chic and beautiful inside. I think the mural is Instagram worthy, what do you think? Currency: US Dollars is widely accepted, followed by Mexican Pesos. 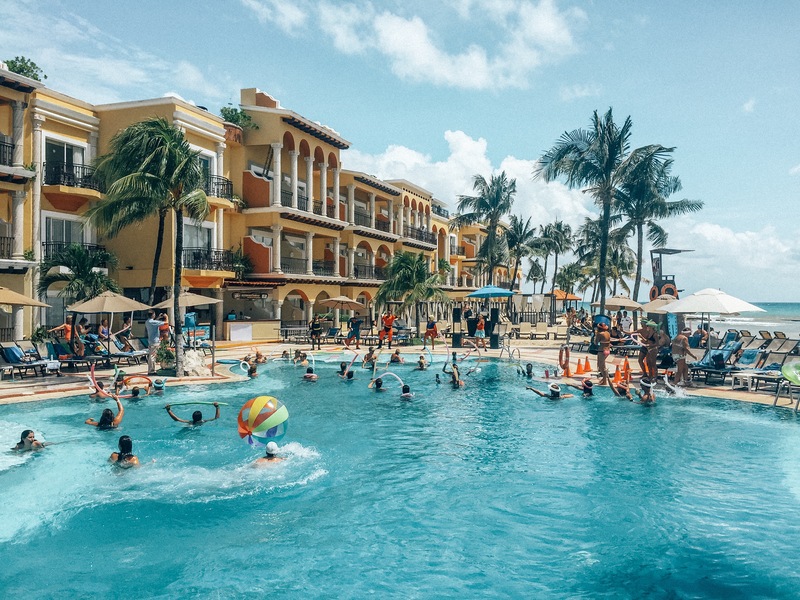 Accommodation: All-inclusive stays are the most popular (a typical 7 night stay with return flights is 1100 USD per person, with double occupancy), airBnB is popular too. Health & Safety: Currently, there is a travel advisory issued by the US government for 11 Mexican cities. In my opinion, make yourself aware of these warnings, but as long as you stay in a resort or a known airbnb and avoid unknown areas you will be fine. We were in Mexico post hurricane and after the earthquakes in Mexico City. Tourism definitely helps this country, so prepare yourself with all information, but don’t cancel travel plans due to a news item. Mexico awaits you and you will not be disappointed! 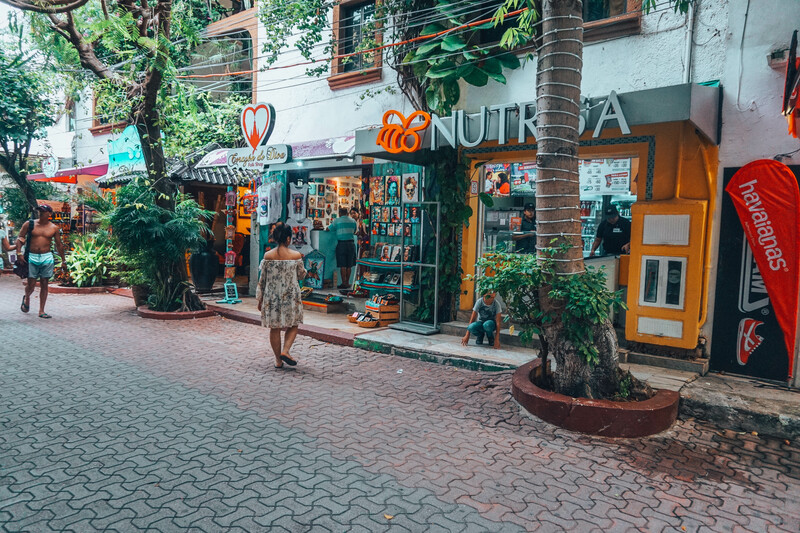 Have you ever been to Playa del Carmen? We’d love to hear your stories, tips or questions in the comment section below! I am so glad you posted about Playa del Carmen, My mom, friends and I went there for our birthdays(30th and 50th b-day celebration). I asked a world traveler friend where he would recommend in the world to go that’s absolutely amazing. He said, “Playa del Carmen”, so we went. We stayed at Shangri-la, beautiful bungalows on the beach. We did the Mayan ruins, Tulum, Cozumel, and downtown. I still wear my souvenirs from Playa del Carmen. I think it’s equally beautiful to Hawaii but with such good food and history. The food was amazing at Shangri-la (I think it’s now called Mahekal Beach Resort). Check this place out! I just love Playa Del Carmen. We were there last September. It is my second best place on Earth. The people, the cuisine, the atmosphere… I love everything about it. And the Mayan ruins were amazing, especially Coba and Muyil. 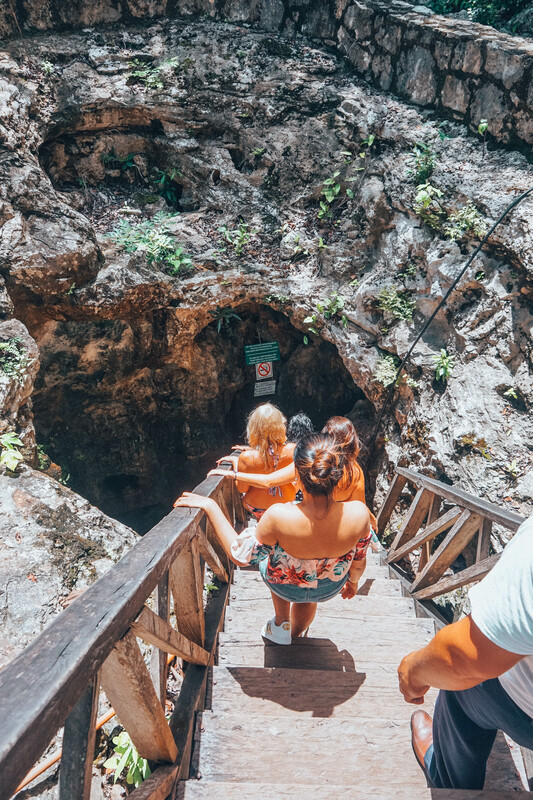 I also highly recommend going to Dos Ojos and Grand Cenote. My husband happened to know a man who runs a local diving company called Koox and they took us to both cenotes at a very low price. We would both like to thank Chucho for making this possible. We have some amazing gopro footage and videos from the cenotes. Next year we plan to go to Tulum and Cancun. Can’t wait.